There are very few film directors who have become famous in their own right, such that film fans will actively pursue a film they directed. Hitchcock, Spielberg, and Tarantino are names most of us recognize today. Back in the 1920’s, the name Borzage might have conjured a similar reaction for people looking for a love-triumphs-over-all romance. 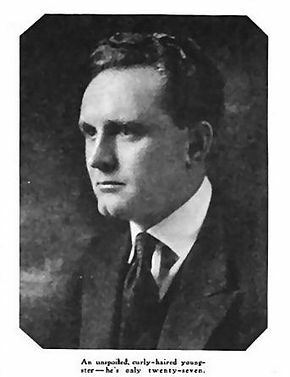 Borzage was the grandson of Austrian Empire emigrants (from a region that is now a part of Italy) whose family migrated to Salt Lake City, where he was born in 1894. Eighteen years later, he found work as an actor in the young film industry, in Hollywood, performing in silent films until he got the directing bug. He had a knack for it and directed around one hundred films (of varying lengths) during a career that spanned six decades, having led the way on a full fourteen films between 1917 and 1919 alone. 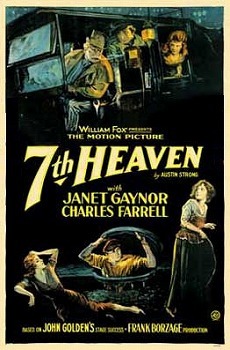 He won the first ever Best Director Academy Award for the film 7thHeavenand continued creating until shortly before his death by cancer in 1962. Accomplished, but largely forgotten today, it may be time for a Frank Borzage retrospective to bring him back into the public eye!